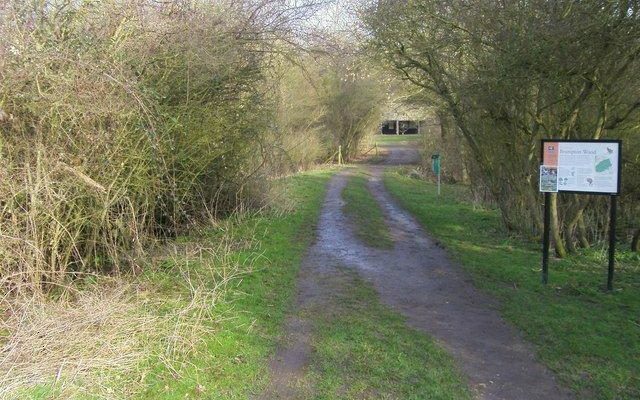 Located off the A14 in Cambridgeshire four miles from Huntingdon. 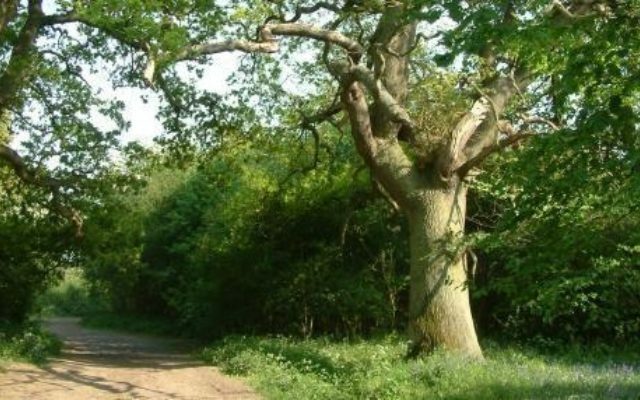 The woodland is an SSSI covering 132 hectares (326 acres) and is one of the largest remaining blocks of ancient woodland in the county, and is in the care of the Wildlife Trust for Bedfordshire, Cambridgeshire and Northamptonshire. 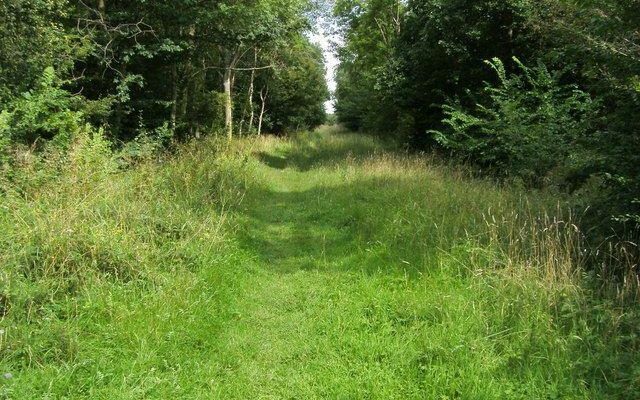 Situated on chalky boulder clay, it is of the wet ash-maple woodland type which is nationally restricted to heavy soils in lowland The rides support a rich neutral grassland flora, representing additional plant communities which are now uncommon in the county. This does make the walk quite muddy during the winter. 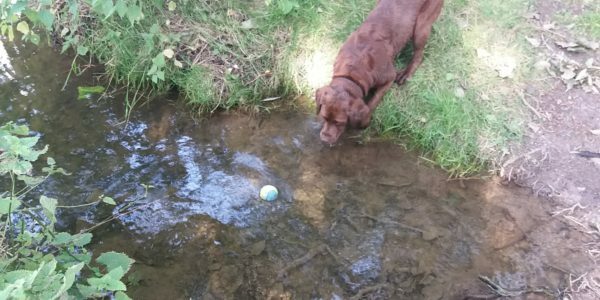 The following was added by Wildlife Trust for Bedfordshire, Cambridgeshire & Northamptonshire: "dogs should be kept on leads on this nature reserve. It is a Site of Special Scientific Interest (SSSI) and has a lot of rare plants and ground nesting birds." There is a decent sized car park off the road for this walk. On arriving there is a helpful map showing the different paths in the nature reserve. The paths don't go near any roads so it's great for letting dogs off the lead. The area does get very boggy and muddy during the winter so welly boots are advised! 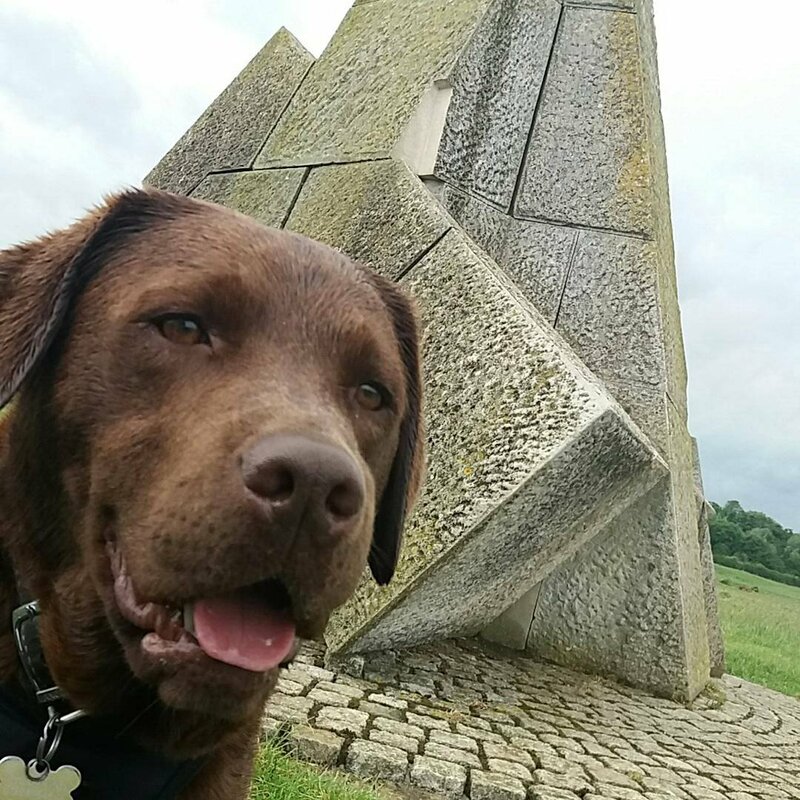 May I please point out that this is a SSSI and there is a sign requesting that dogs should be kept on a lead to avoid trampling rare plants and disturbing wildlife. 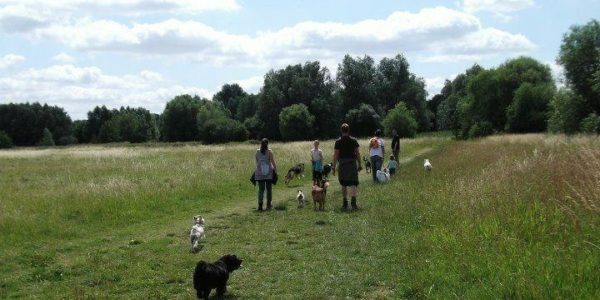 Given MalcolmA's comment, can the dogs be let off the lead at all on this walk or is it just specific areas which require them to be on lead? Thanks for any info. I believe the sign and notice at the entrance apply to the whole wood. My observations over several years are that most dog owners ignore them. 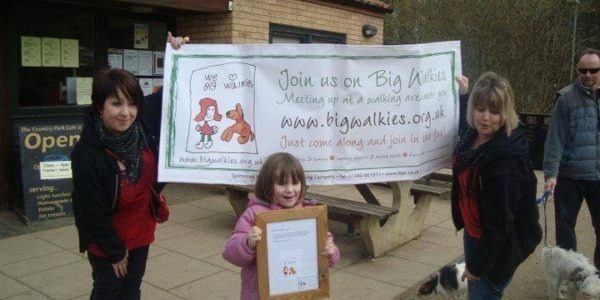 We've updated the walk details to now show the walk as being an on-lead area. Thank you for the feedback. Lovely walks. Lack of dog bins though.